Like most motorcyclists, I usually carry things with me on a motorcycle ride. There are many options for carrying items on a ride such as a backpack, a tank bag, saddle bags, hard boxes mounted to the bike, soft luggage with built-in strap systems, fender packs, tool tubes, and, yes, even the lowly milk crate. 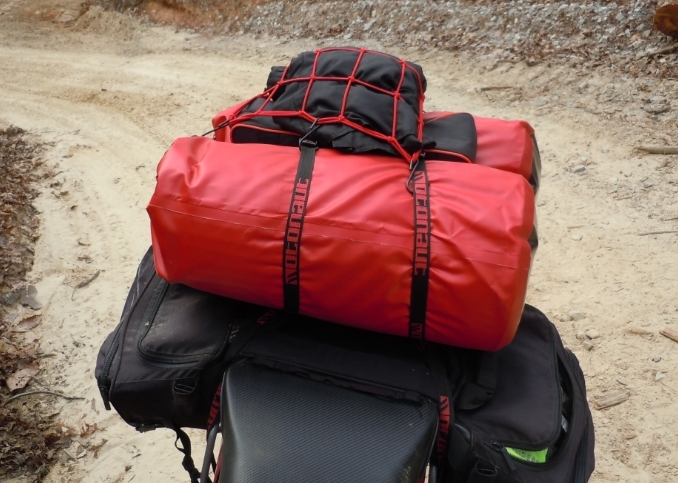 The Wolfman Expedition Dry Saddle Bags are a great option for waterproof motorcycle luggage. They offer a unique strapping system and a good size that allows reasonable capacity without being too wide for offroad riding.